It non-greasy and cream based sunscreen and Provides active triple protection Consists of black plum extracts for protection against UVA and UVB rays of sun Specifically formulated for Indian summer. Lotus Herbals Safe Sun Sun Block Cream SPF 30 PA++ is an unique sun block cream with PARSOL 1789 that protects and reduces the chances of skin tan and skin ageing after exposure to atmospheric pollution. It is a non-sticky sun block cream that protects the skin against sun tan. It helps in protecting the skin against UVA and UVB radiations and its tube packaging is easy to use and carry around.It is a sweat proof cream which is best suited for all skin type. It consists of black plum extracts which is astringent and moisturizing in nature and titanium oxide present in the cream helps in blocking the solar radiations physically. 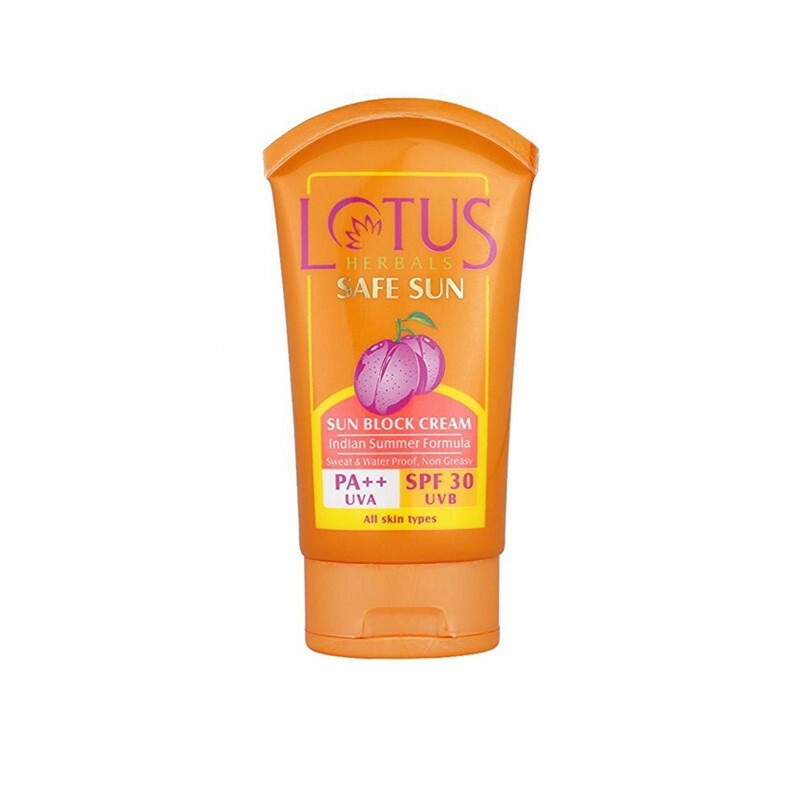 It has a property of not wiped off by sweat or water.Protect your skin with harmful solar radiations by Lotus Herbals Safe Sun Sun Block Cream SPF 30 PA++.